Copyright 2014, Dharmaram Publications. Used with permission. 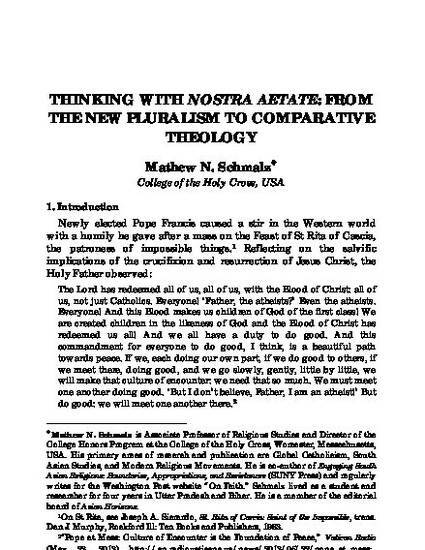 Mathew N. Schmalz, “Thinking with Nostra Aetate: From the New Pluralism to Comparative Theology,” Revisiting Vatican II: 50 Years of Renewal, Vol. I: Keynote and Plenary Papers of the DVK International Conference on Vatican II, 31 January - 3 February 2013, ed. Shaji George Kochuthara, Bangalore: Dharmaram Publications, 2014, 450-465.